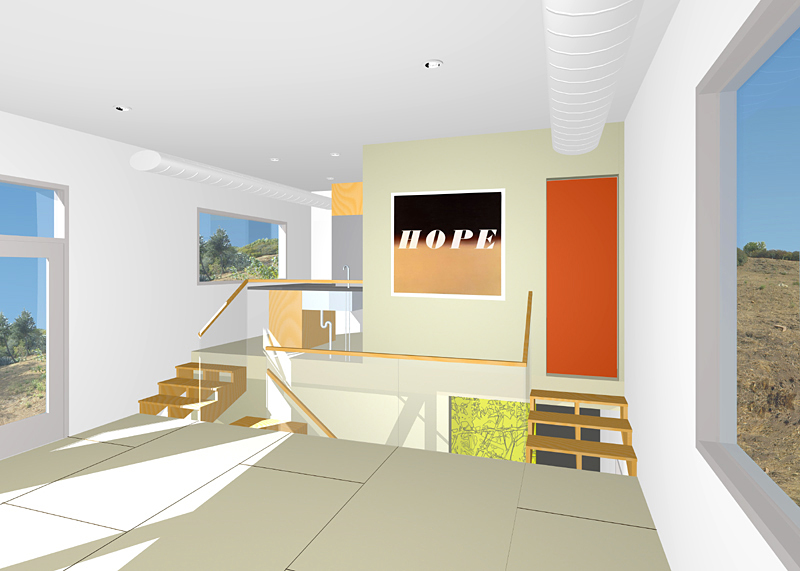 As promised, albeit a bit late, here are the renderings that Nathan and Gloria showed us last Friday. This is a view of the living room looking back at the kitchen. This is looking back at the stairway towards the bathroom. 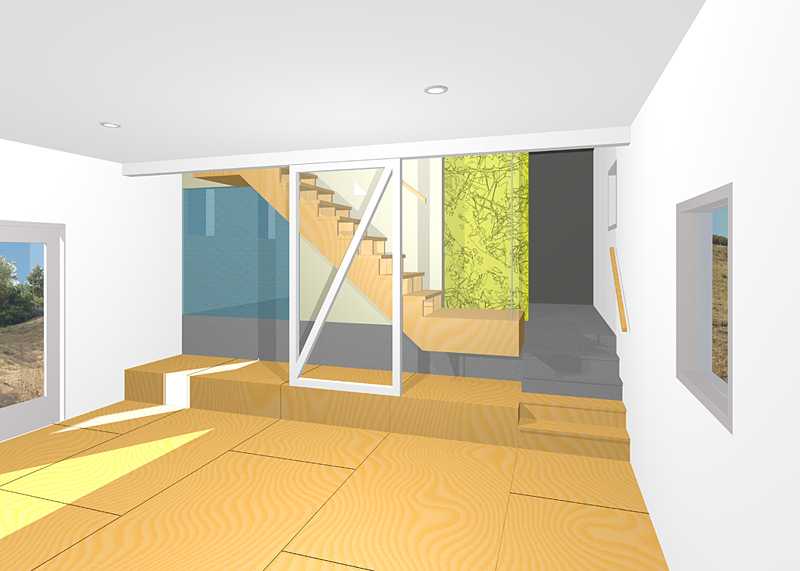 We are still working through some of the material decisions, however, for the most part we want to have the flooring be a maple plywood in the bedroom and using a light colored cement board for the upstairs.